Everyone seems to be using social media and mobile devices these days, but in spite of this constant online connectivity – or perhaps even because of it – good old-fashioned, face-to-face networking is hugely popular. Perhaps people still prefer actual human contact, even in a business environment. So when you get together at events or meetups with professionals in your industry, what tools should you use to collect and distribute contact information from those you meet? Should you just whip out your phone and take down everyone’s email addresses? Or should you bring along a stack of business cards? Do People Even Use Business Cards Anymore? With all of the advances in digital technology, mobile devices, and the internet, it’s understandable to question whether business cards are even necessary in the world of business today. While it’s true that there are mobile apps designed to make physical cards obsolete, the truth is that many professionals in many industries still rely heavily on business cards. In fact, recent marketing statistics show that on average, sales increase by 2.5 percent for every 2,000 business cards handed out. Business cards still work, even when the wifi is sketchy or your cell phone provider is throttling you – or when you rushed out the door to a networking event and forgot to charge your phone before leaving. That card is always “ON”. And in many industries, contacts won’t even take you seriously if you don’t have a business card. So yes, business cards are still used today. But there’s more to effective networking than simply passing out business cards with reckless abandon. 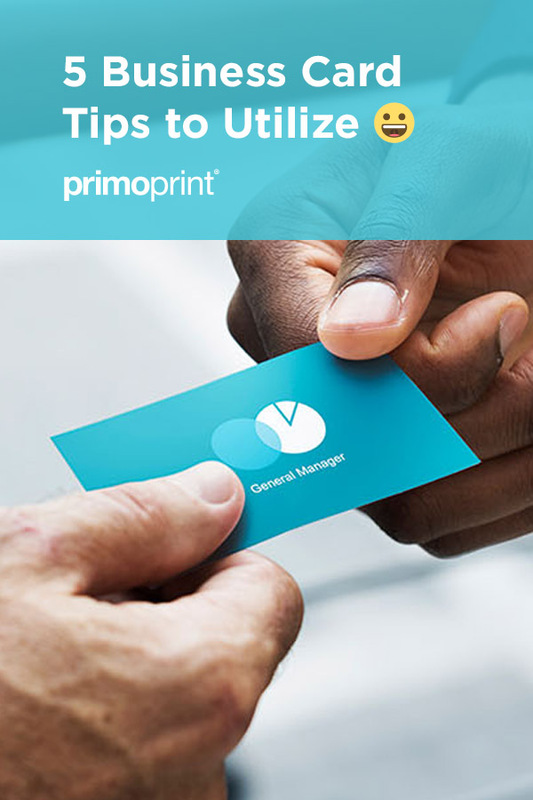 Here are five tips for using business cards effectively. That last feature – a photo of yourself – is really important here. At any given networking meetup, everyone is going home with dozens of business cards from people they’ve met at the event. How many of those are going to stand out and be remembered? If they can’t put a face to the name, then the answer is – not many. This is not a time to be stingy with your resources. Sure, you don’t want to come across as self-serving either, but as long as you’re actually expressing interest in the people you meet, handing out business cards left and right isn’t a bad thing. The point is that you shouldn’t overthink things or be too picky about handing out your card. You don’t need to pass them out like a dealer at the blackjack tables. But you don’t want to be too shy with them either. No matter how much you or your company paid for those cards, they are worthless while they sit in your pocket or briefcase. They only have value by being handed out. So meet some people. Shake some hands. And pass those cards out. The thing to keep in mind about networking is that it’s not all about you. If you’re just there for yourself, then you’re not going to get very far in your business. The key to success in networking – and in business in general – is to provide value to others. Put your customers’ and contacts’ needs ahead of your own. Help them solve their problems, and in return, they will reciprocate. So don’t just push your cards into everyone’s hands and then walk away. Ask for their cards in return. Ask about their business. Ask how you can be of help to them. Ask what kinds of clients they are looking for and think about if you have any other people in your network who might make good referrals. Provide value to those you meet, and you will receive value back from them down the road. After you meet someone and learn a little bit about them, write down some notes about the person to help you remember them later on and to get you thinking about how you can help them. If the card doesn’t have their photo on it, for example, then you might put down some cues about their physical appearance or demeanor to help jog your memory. If, during your conversation, you think of someone you know who might be interested in this person’s services, make a note to contact that person and pass the info along to them. And if your gut feeling during the entire conversation was that this person is a weasel, then you might make a reminder to throw that card away after the event. 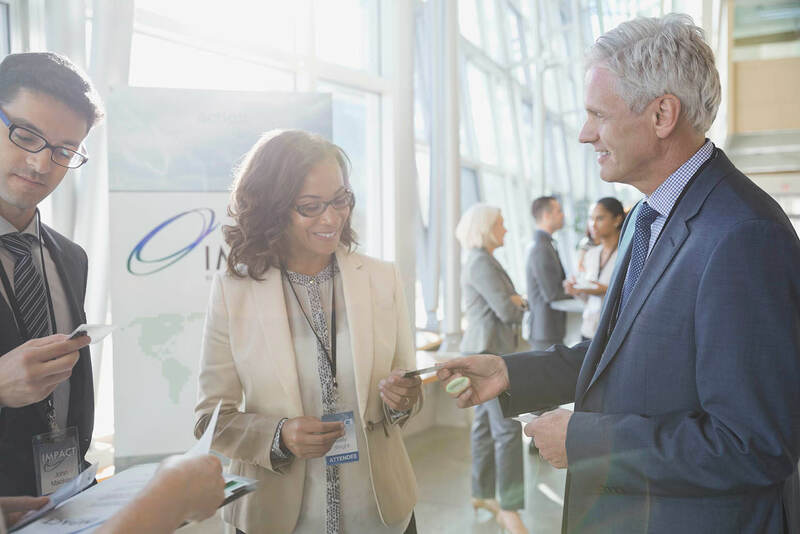 Following up with the connections you made at a networking event is crucial to your own success. When you reach out to these new contacts in the days after the meetup, you aren’t just making a good impression and standing out from the crowd. You’re building relationships and making efforts to genuinely help other people. It’s been said that the best way to get everything you want is to help other people get what they want. This mindset is true in all areas of life, but it is especially effective in business. Business cards are still a very effective marketing tool for promoting yourself and your brand, especially when it comes to building out your professional network. At your next seminar, retreat or meetup, try putting these five networking tips into practice. And put those business cards to good use in the process. NextWhat is Brand Photography and How Can it Help Grow Your Business?